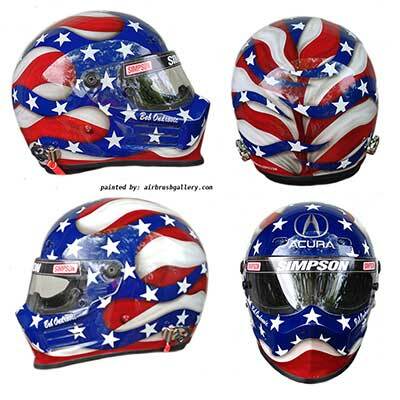 Helmet Design 53 is Simpson race helmet I designed and painted for Bob Ondrovic who races a Acura. 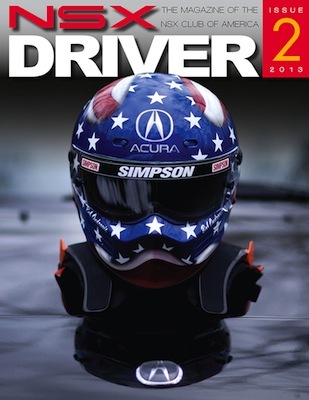 American flag design with Acura logo, bright colors, bold lines really make this helmet stand out. This helmet design 53 was featured the cover of NSX Driver magazine. Call or text 1-352-361-3403 to get started on your helmet design today. 2011 NW Martin Luther KIng Jr Ave, Ocala, Fl. My goal with every project is to work closely with clients to achieve results we both can be proud of. Attention to detail, using only the best custom paint and clear coats in every project ensures your airbrush artwork will look great for years to come. A majority of the helmets I paint now are for clients I painted a helmet for in the past.